Driving Trail Ridge Road in Rocky Mountain National Park is incredible. 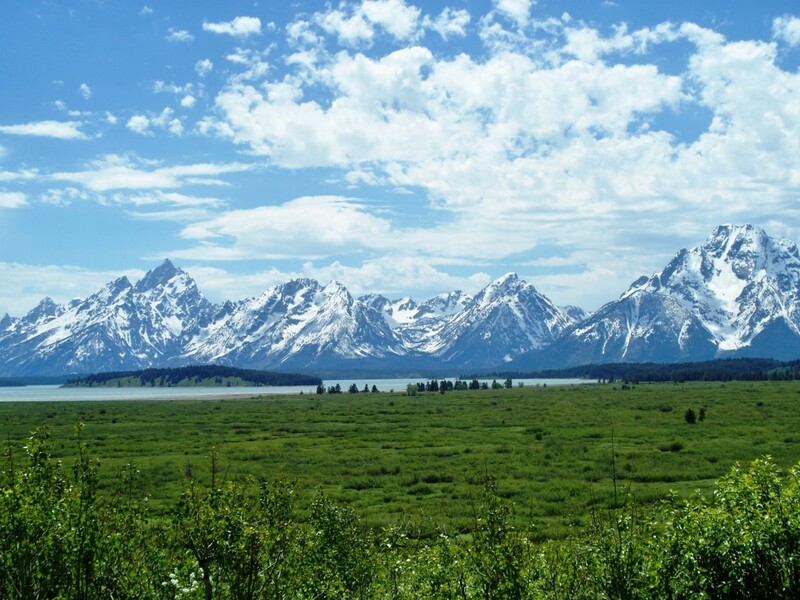 It is one of the most beautiful and amazing drives in the United States, but it is not for the faint of heart. It clings to the side of sheer cliffs as it runs 48 miles between Estes Park and Grand Lake, Colorado. 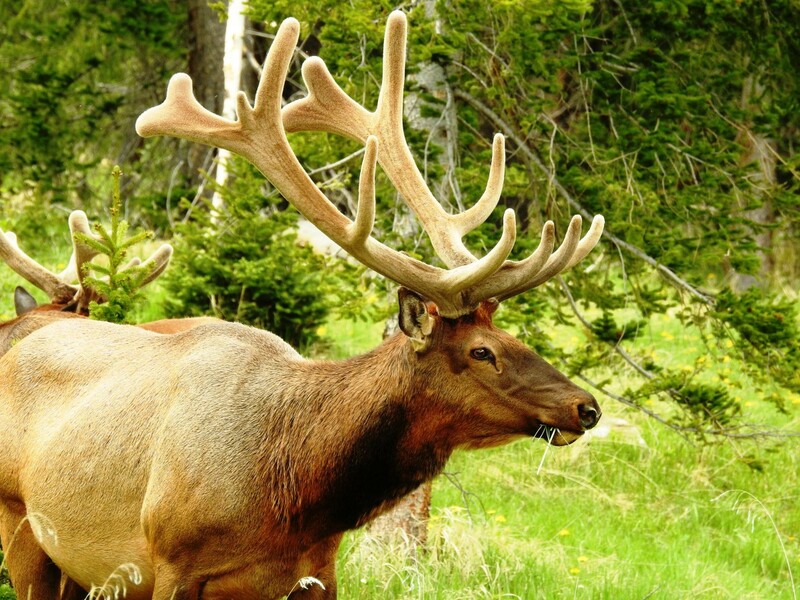 Trail Ridge Road is also known as U.S. Hwy 34 and offers visitors spectacular mountain views, alpine forests, alpine tundra, and plenty of opportunities to see wildlife. 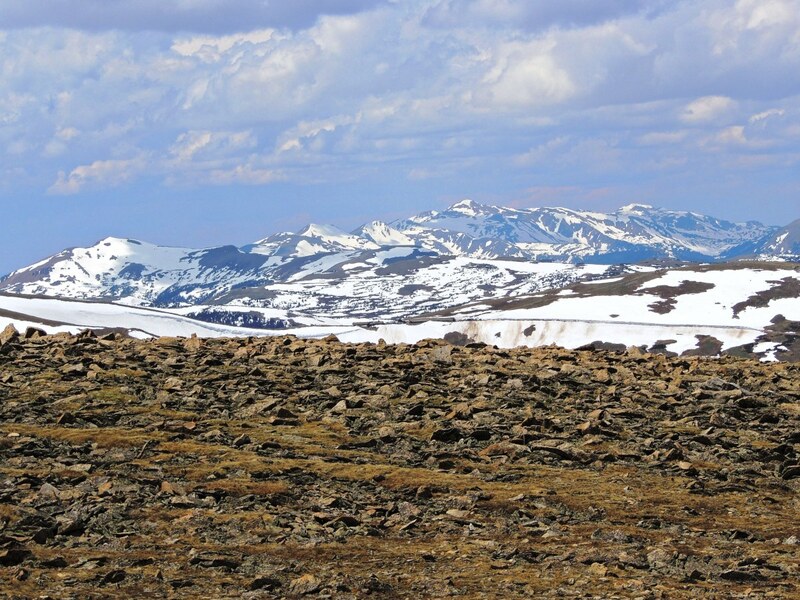 Plan on spending about half a day driving Trail Ridge Road. 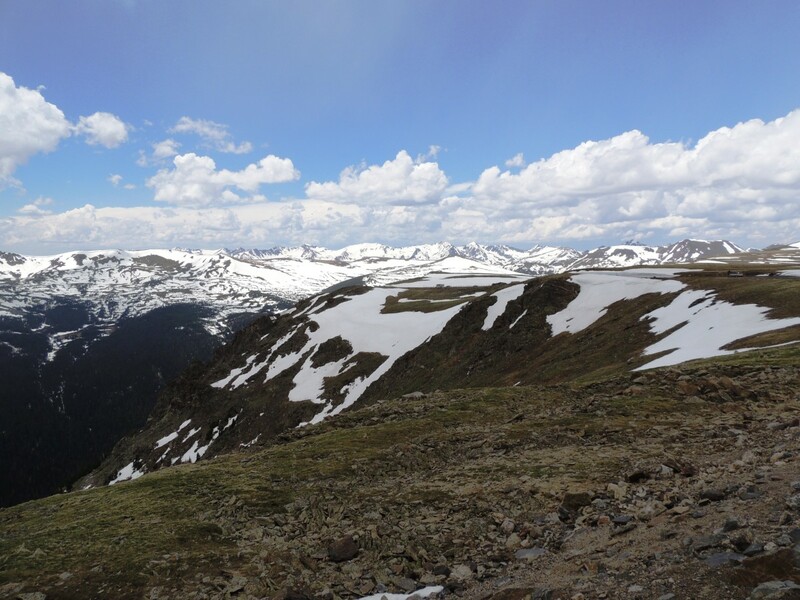 My family and I were blessed to be able to take Trail Ridge Road on our Colorado vacation in 2010 and then again in 2015 on the way home from our California vacation. 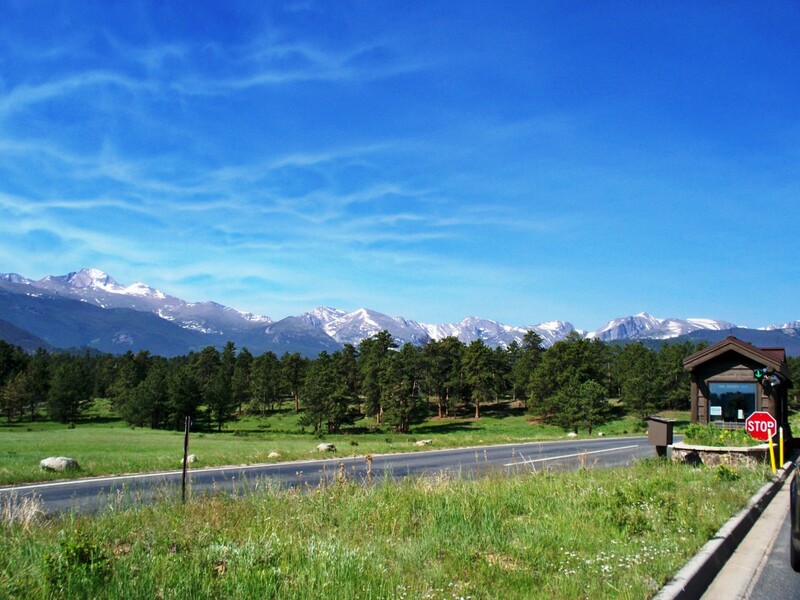 It is a fun road to drive with amazing views of the Rocky Mountains. I cannot recommend it enough. 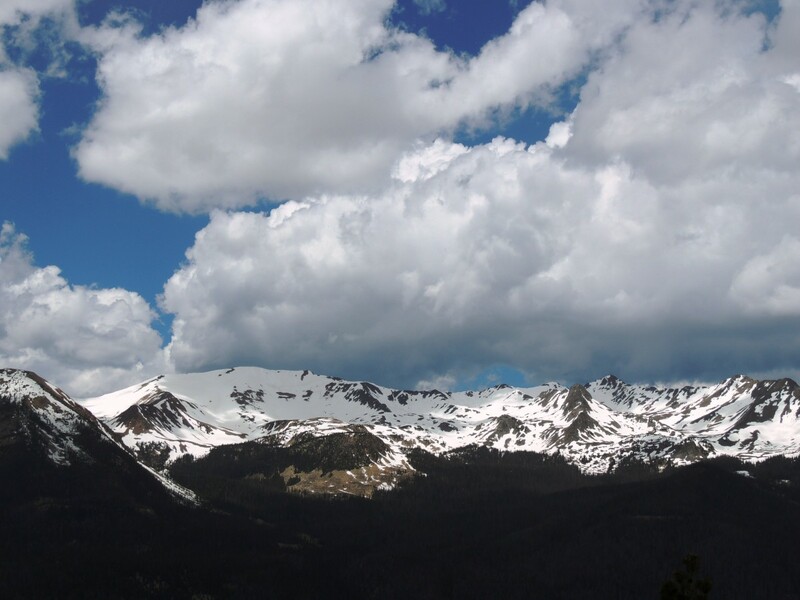 Here is what it is like to drive Trail Ridge Road in Rocky Mountain National Park from Estes Park to Grand Lake. 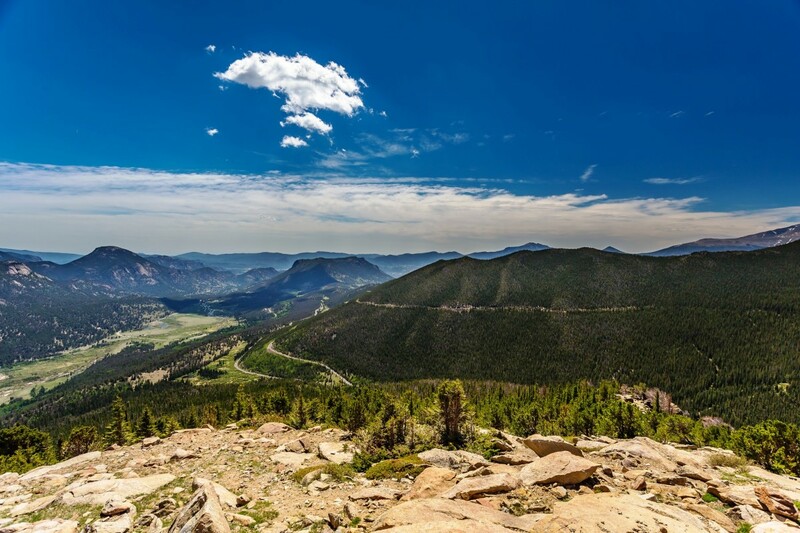 Trail Ridge Road is the highest continuously paved road in the United States! 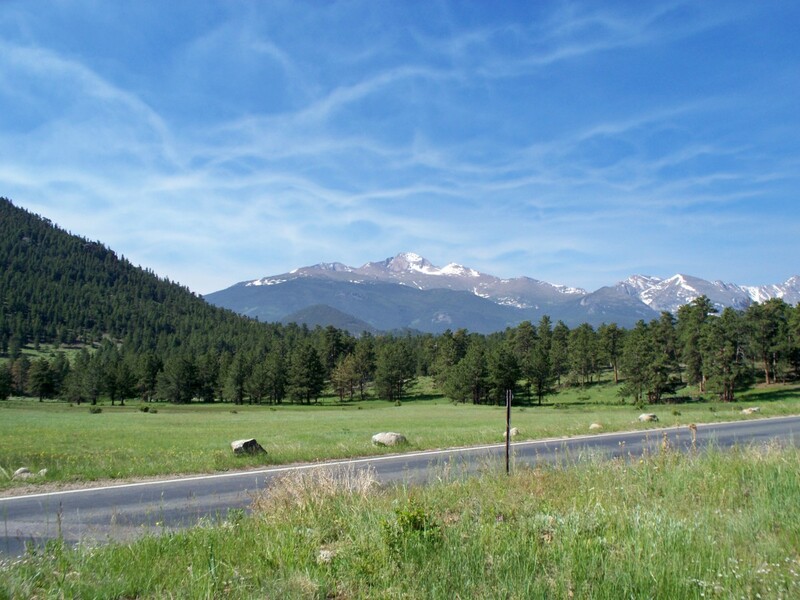 Trail Ridge Road begins in Estes Park, Colorado, at the Fall River Entrance. 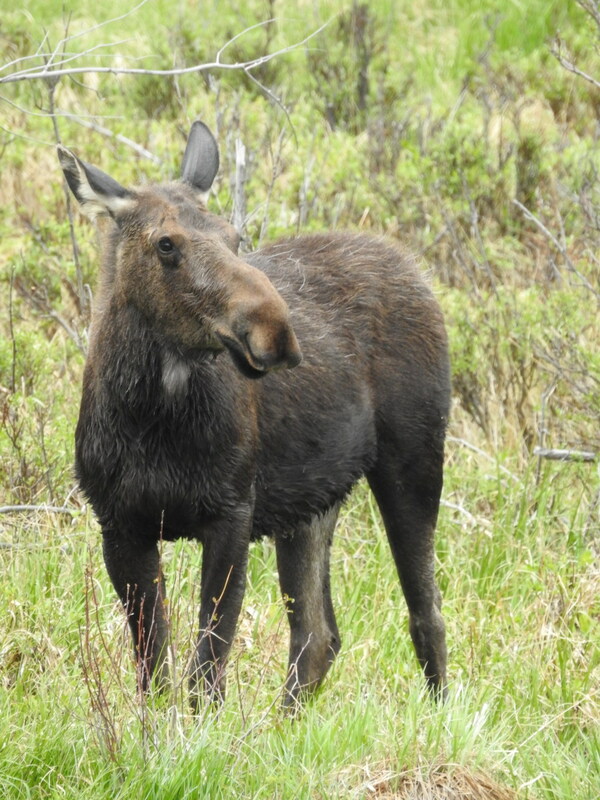 Visitors can also use the Beaver Meadows Entrance as well. The two roads meet not too far into the park. 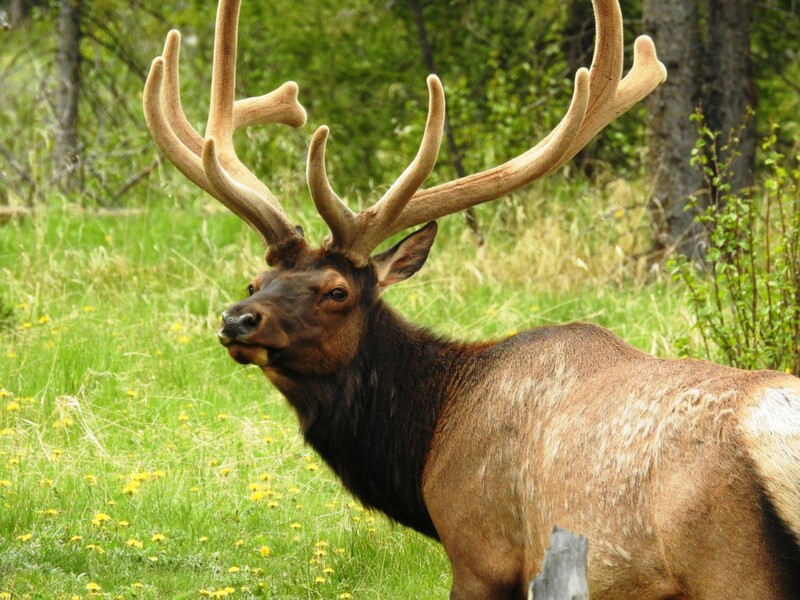 Estes Park offers shopping, delicious food, plenty of lodging options, and more. It is one of my most favorite places in Colorado because of the fun atmosphere and all of the cool shops. 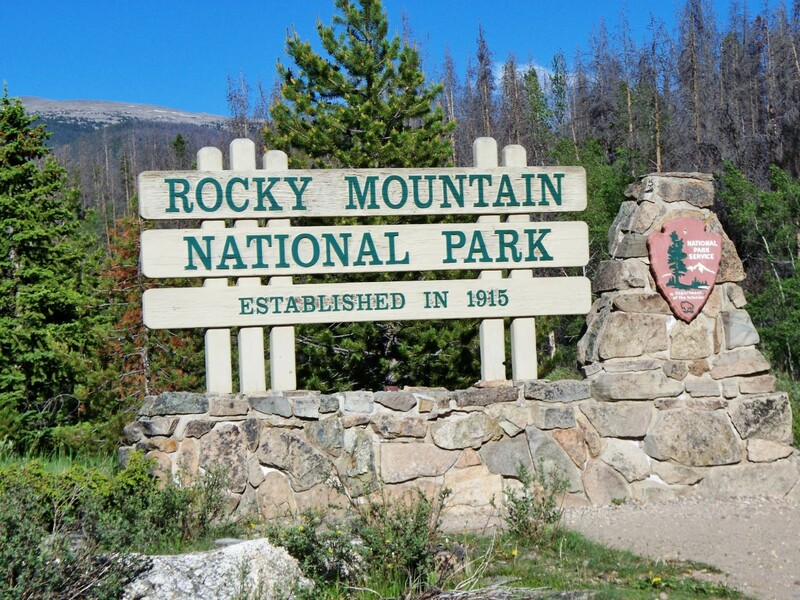 My family and I always leave time to spend a few hours there when we go to Rocky Mountain National Park. 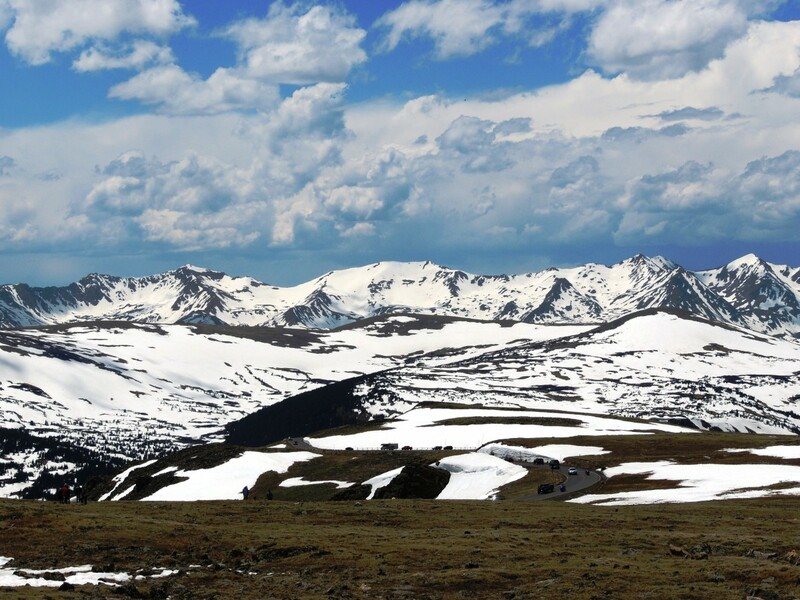 The Many Parks Curve Overlook (9,640 ft) on Trail Ridge Road offers views of the Mummy Range. The overlook is the first scenic pullout and is on a hairpin curve not too far from where the road begins to climb. Pull over in the parking area and take a few minutes to take in the view. Many Parks Curve is also the end of the line when Trail Ridge Road is closed for the winter, usually sometime in October. 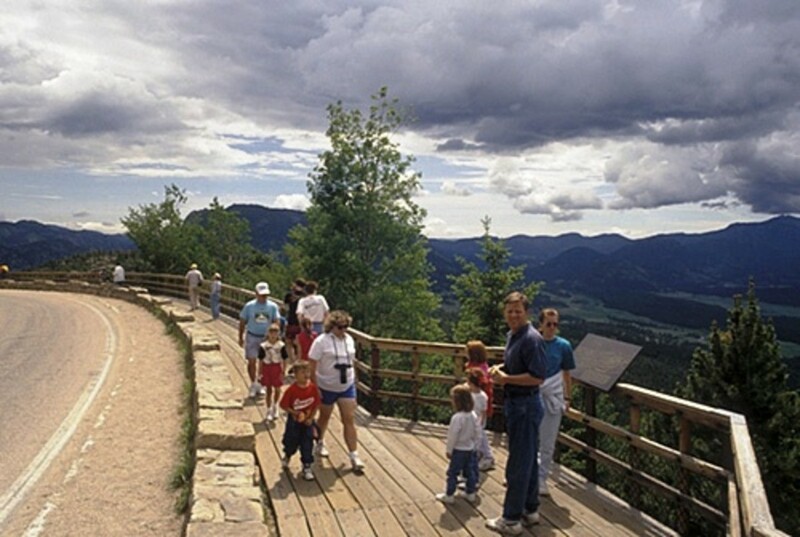 The Rainbow Curve Overlook offers beautiful views of snowy peaks and green forested valleys below. 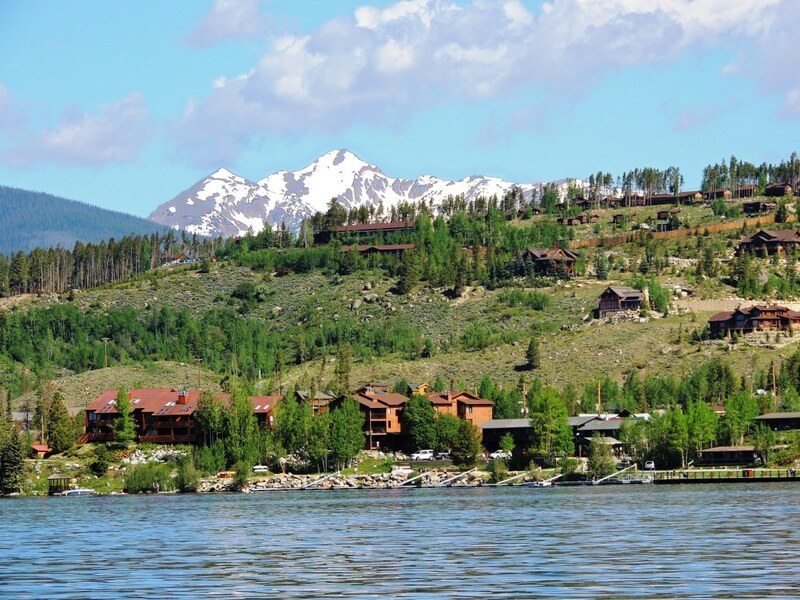 It is about two miles above sea level at over 10,000 feet in elevation. 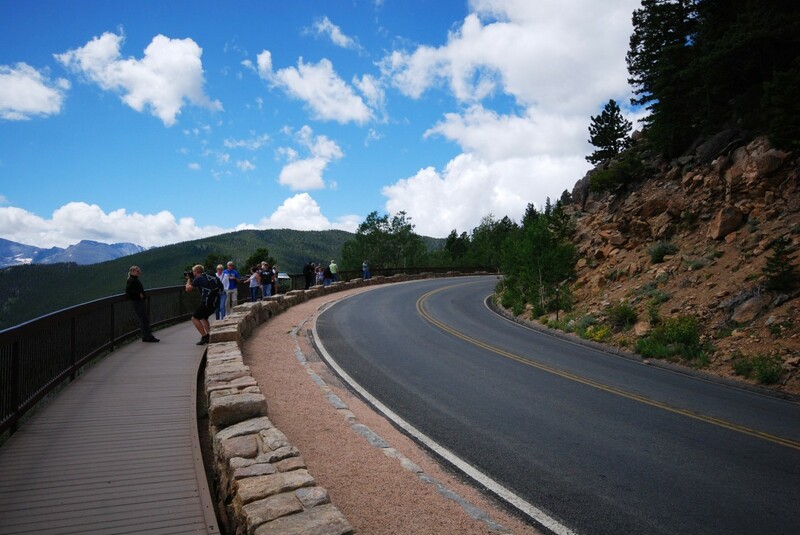 Visitors can see parts of Trail Ridge Road down below. It is a very cool sight. 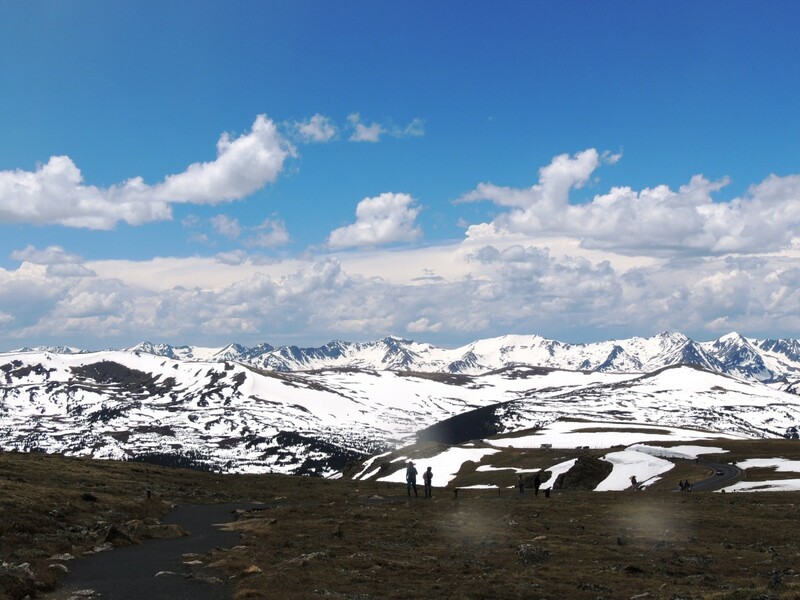 The Trail Ridge Road Summit is at an elevation of 12,183 feet. 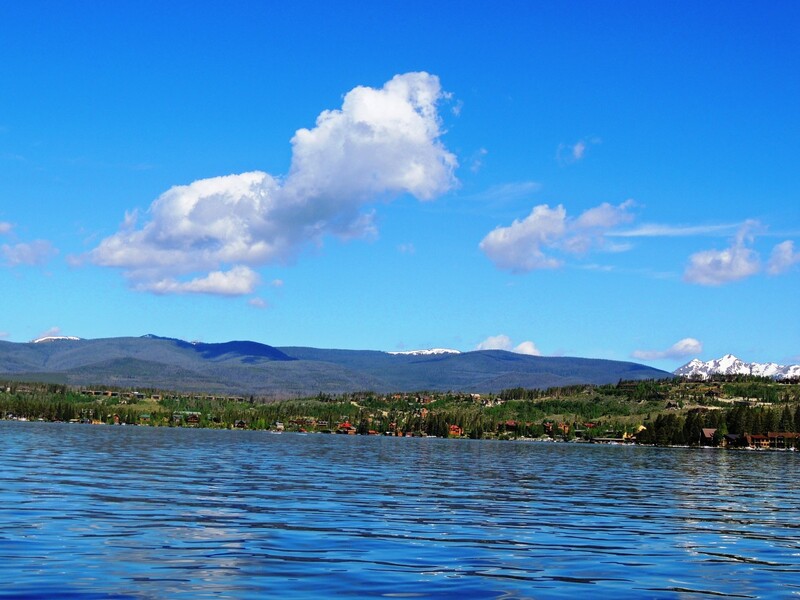 The temperature is likely to be 20 to 30 degrees colder here than at Estes Park or Grand Lake. 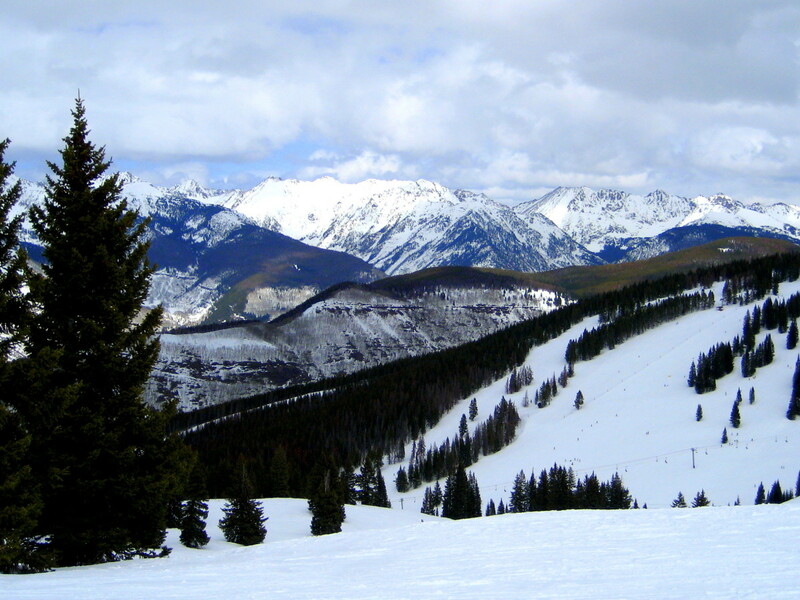 It is important to remember that oxygen levels are much lower at this altitude. 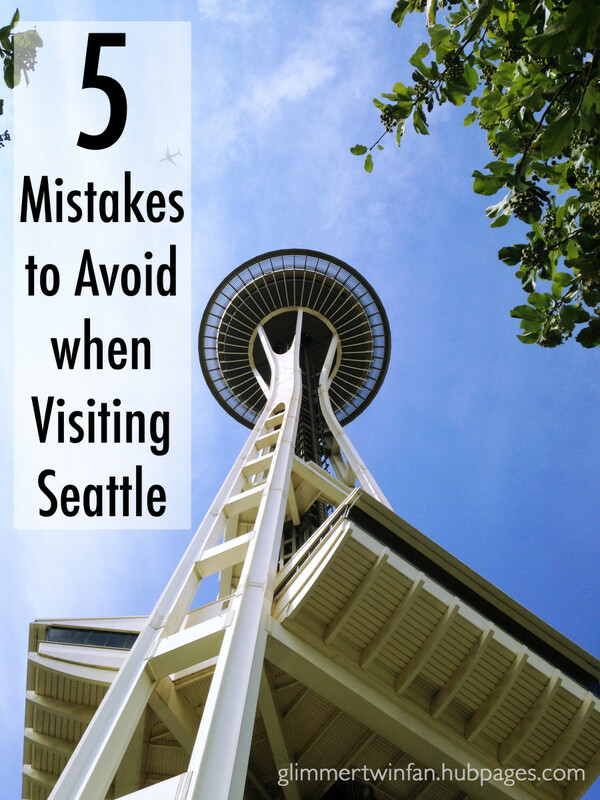 Visitors who stand up too quickly may feel some lightheadedness or pressure because of the lack of oxygen. 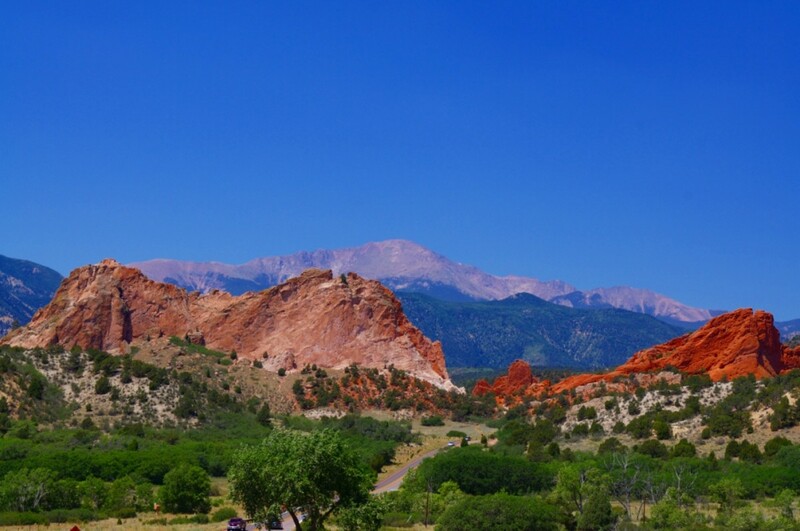 I have only experienced this at Pikes Peak in Colorado Springs, but that is about 2,000 feet higher. Elevation affects people differently. 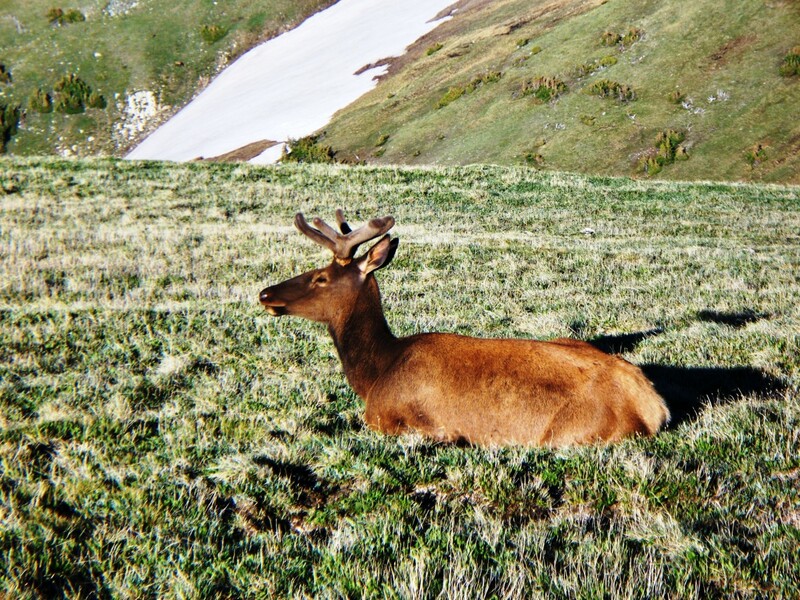 In the summer months, keep an eye out for elk grazing on the alpine tundra as well as pikas and marmots. 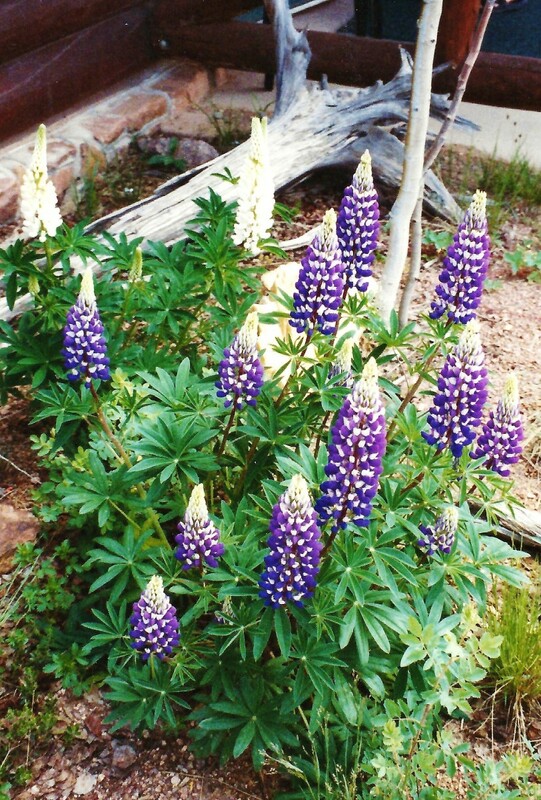 Also, look out for wildflowers in July. 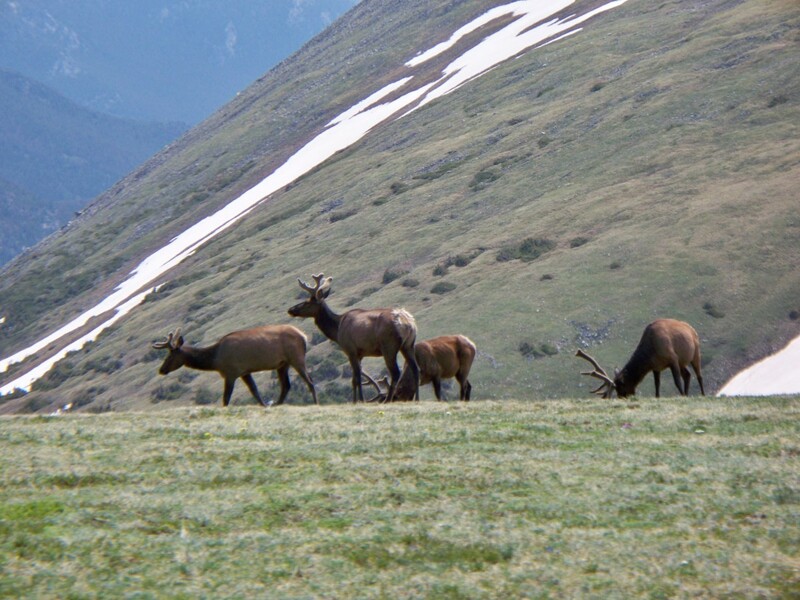 The first time we went to Rocky Mountain National Park, we were blessed to see several elk grazing at the Trail Ridge Summit and enjoying the sunshine. Headache, dizziness, nausea, vomiting, fatigue, shortness of breath and loss of appetite. 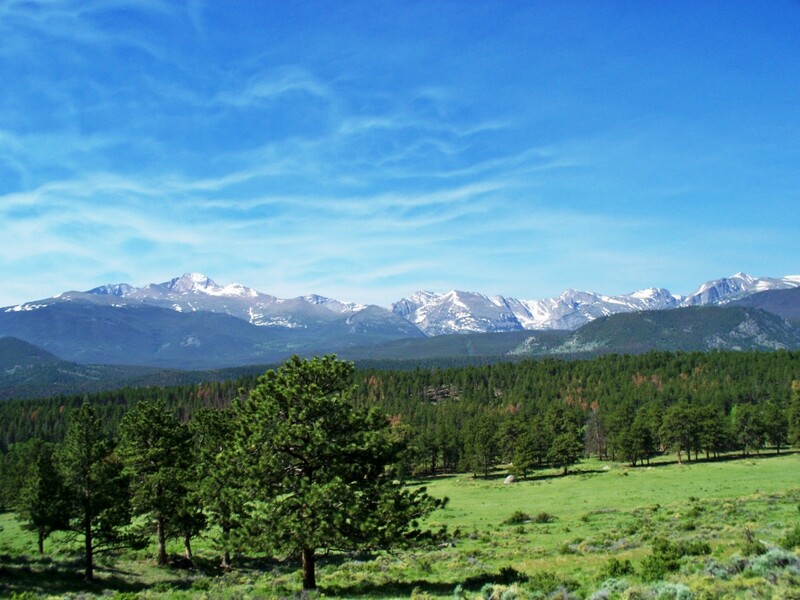 The Gore Range Overlook (12,048 ft) offers tremendous views of the Gore Range, Longs Peak, and Never Summer Mountains (also known as the Medicine Bow Mountains). Words are unable to describe the majesty of the view. It is breathtaking. 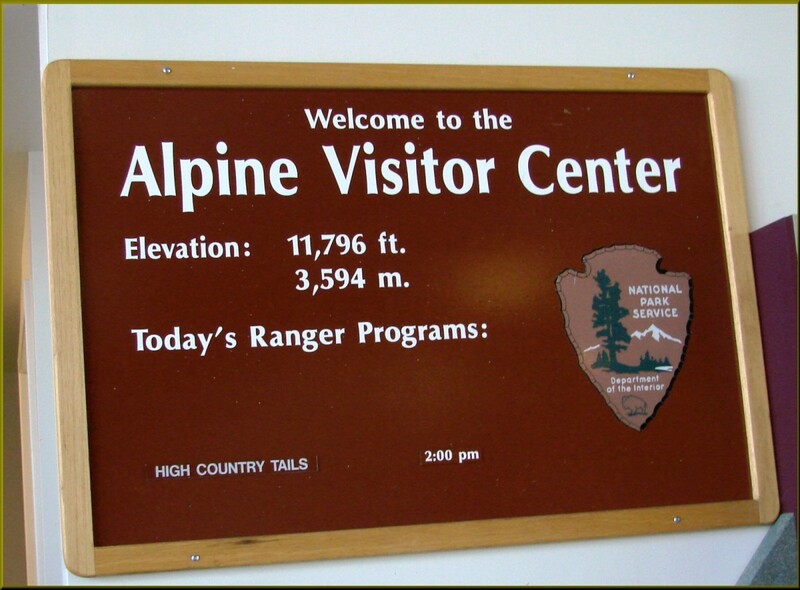 The Alpine Visitor Center on Trail Ridge Road is at an elevation of 11,796 feet, which makes it the highest national park visitor center in the United States. The visitor center has souvenirs, snacks, supplies, and hot food. 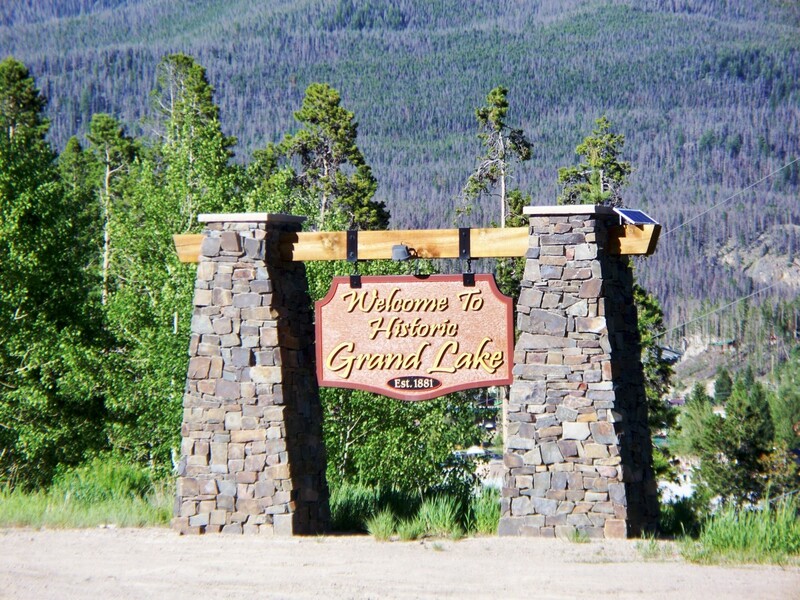 It is about the half-way point between Estes Park and Grand Lake. It is a great place to stop and enjoy the beauty of God's creation. 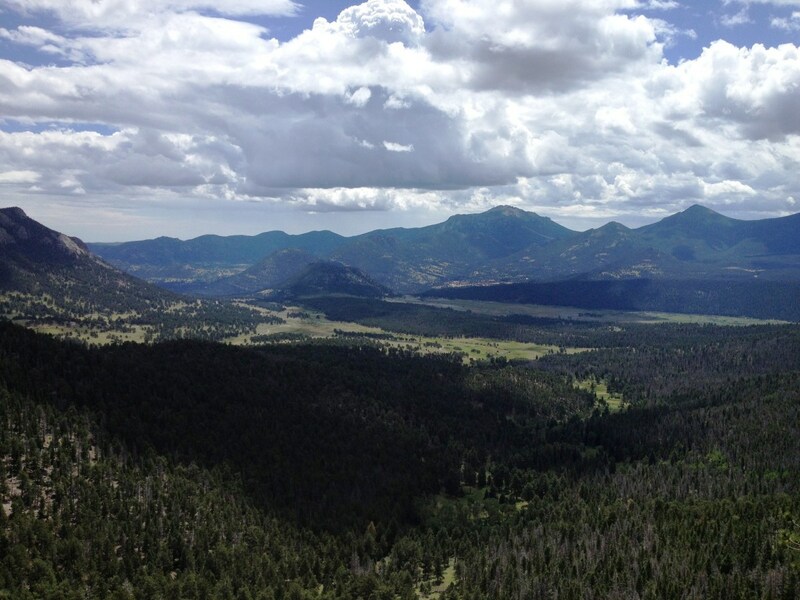 I recommend taking the short Alpine Ridge Trail behind the visitor center for even more amazing views. 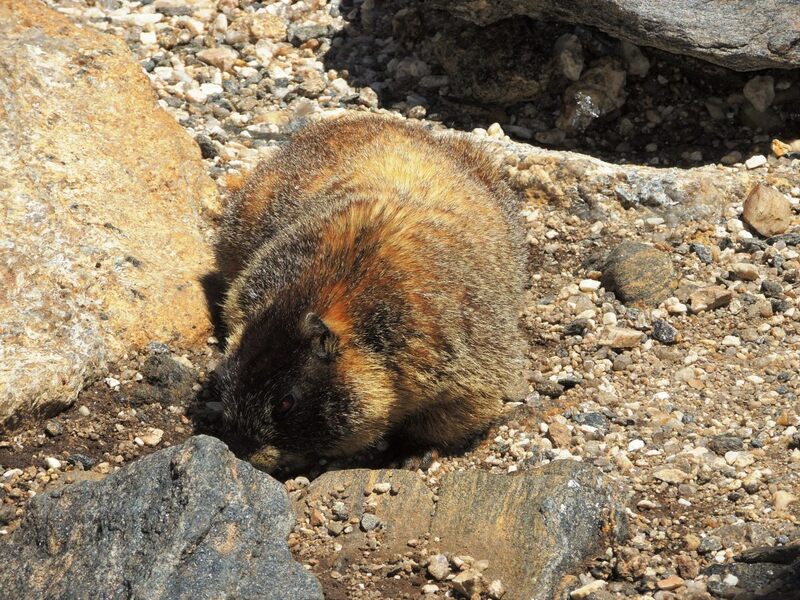 My family and I hiked to the top and were blessed to see a marmot digging in the rocks. The view from up there is awe-inspiring in all directions. 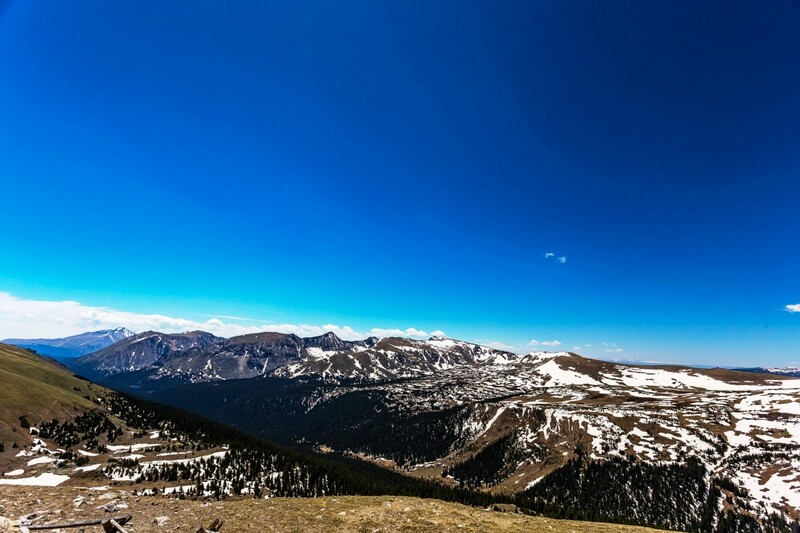 The Medicine Bow Curve Overlook offers tremendous views of the Never Summer Mountains from 11,640 feet. It on a hairpin curve above the treeline as visitors begin their descent from the top of Trail Ridge Road. It is worth a quick stop. 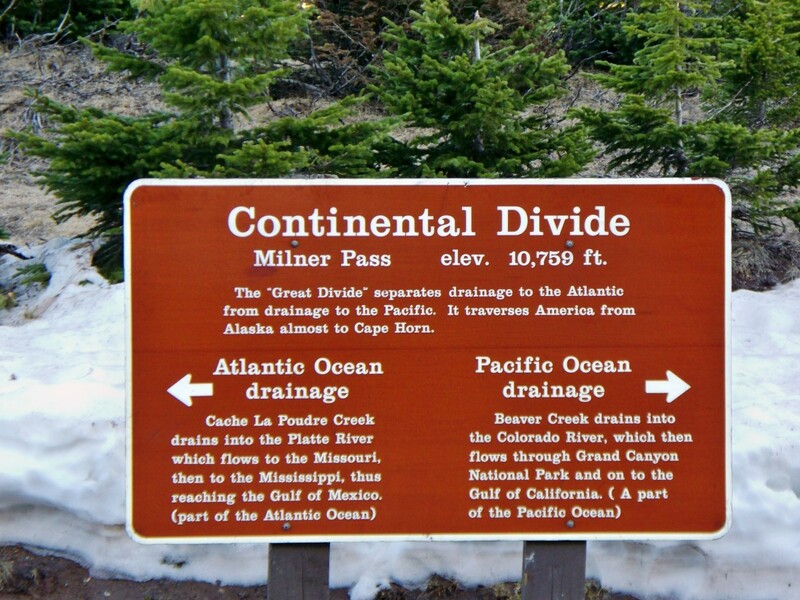 Trail Ridge Road at Milner Pass crosses the Continental Divide, which is an imaginary line that determines which ocean a river will empty in. All rivers to the east of this line, flow into the Atlantic. All rivers to the west of it, flow into the Pacific. 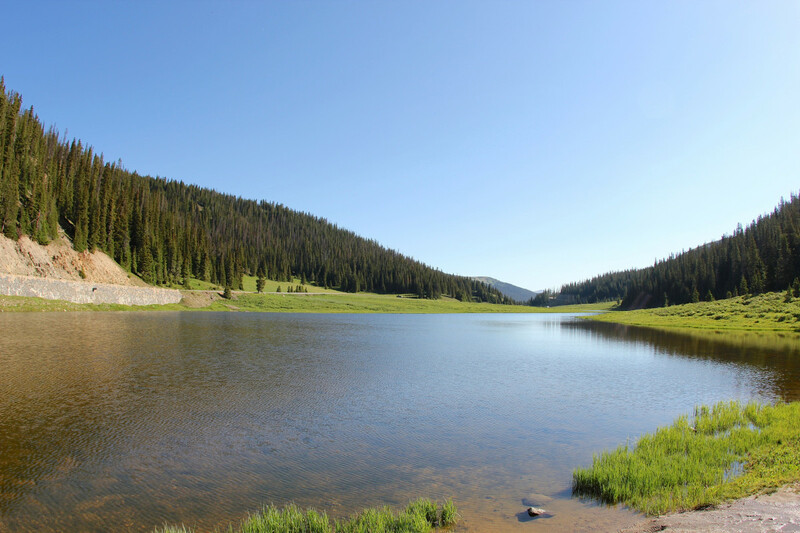 Milner Pass is also home to Poudre Lake, which is a few feet east of the Continental Divide. It is the main tributary of the Poudre River. 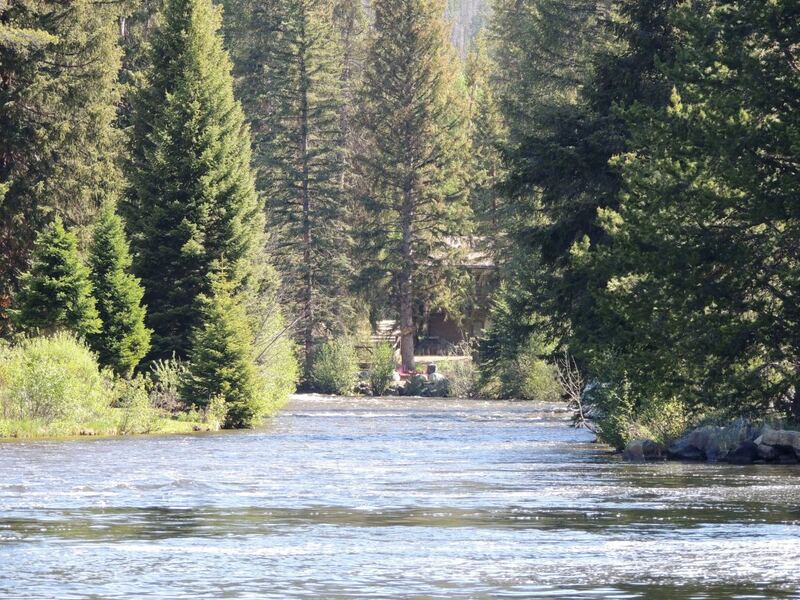 It is also a great place to fish. 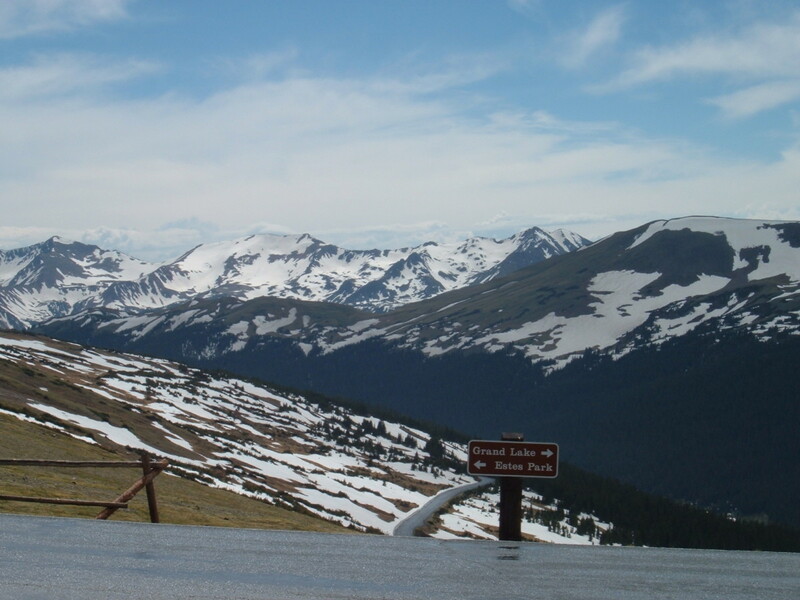 The Fairview Curve Viewpoint is at 10,000 feet and is the last viewpoint on Trail Ridge Road as it begins to descend towards Grand Lake. 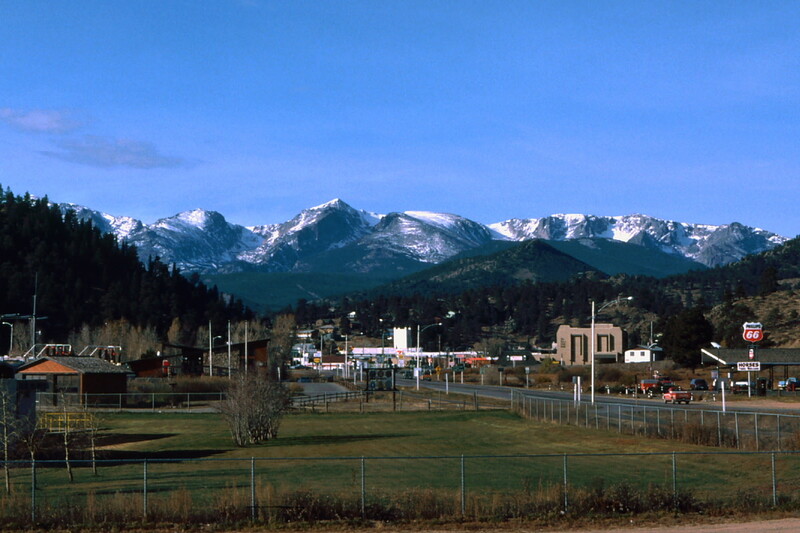 It offers stunning valley and mountain views. It is a little smaller than some of the other viewpoints, but it is still worth a quick stop. Trail Ridge Road continues descending elevation until it reaches Kawuneeche Valley. 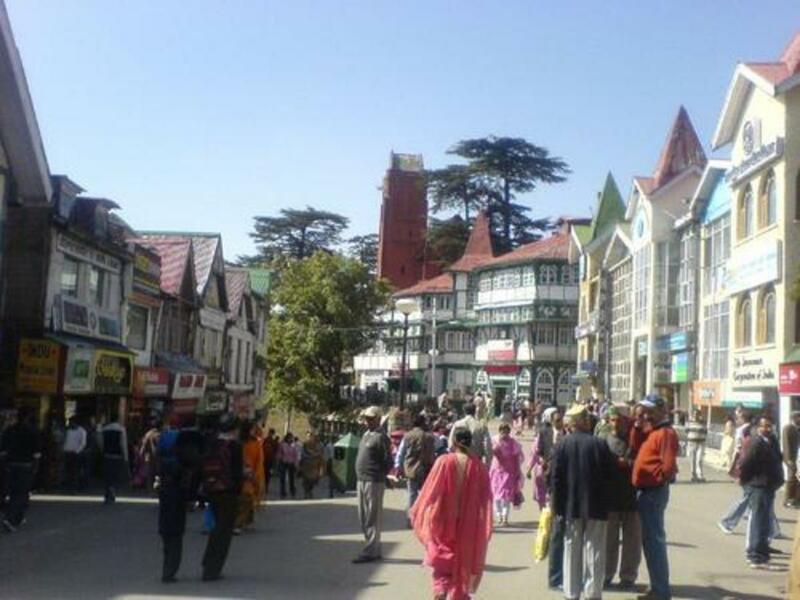 It is home to lush green meadows and forests. 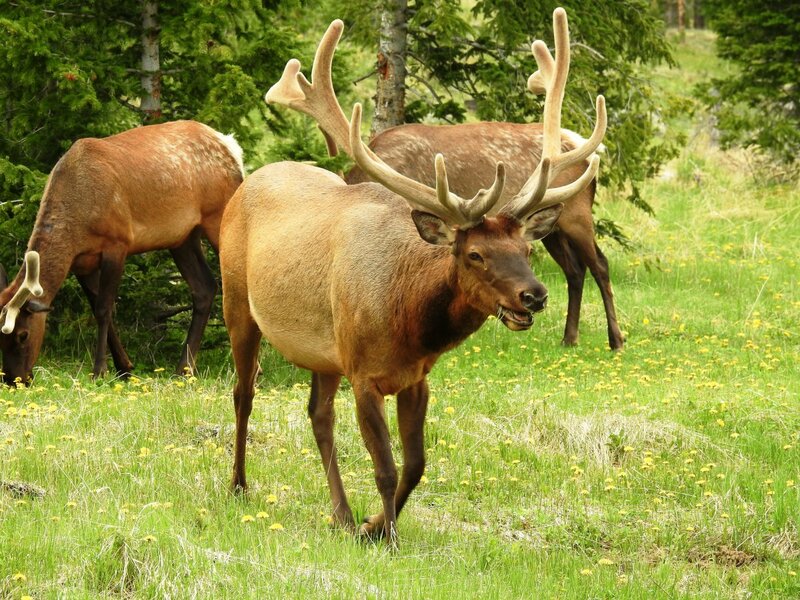 It is also a great place to see elk. 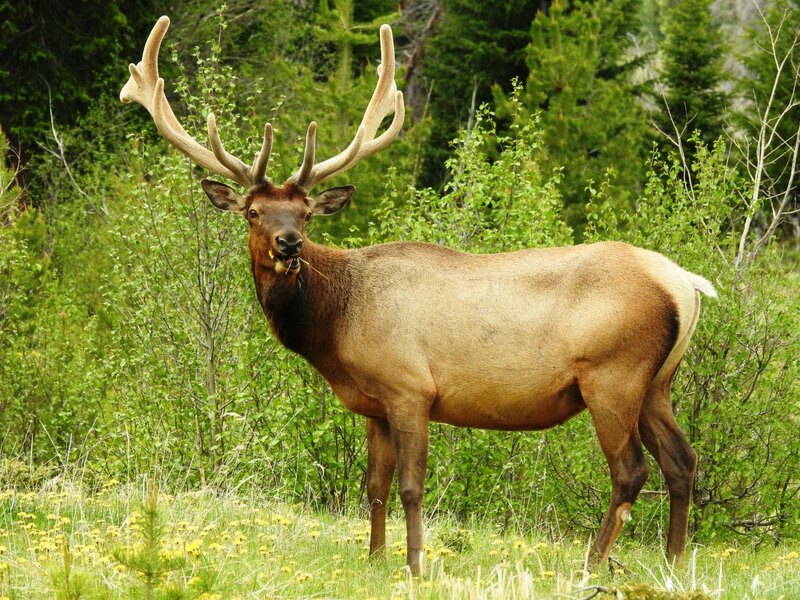 Every time that my family and I have visited Rocky Mountain National Park, we have seen elk in this area. 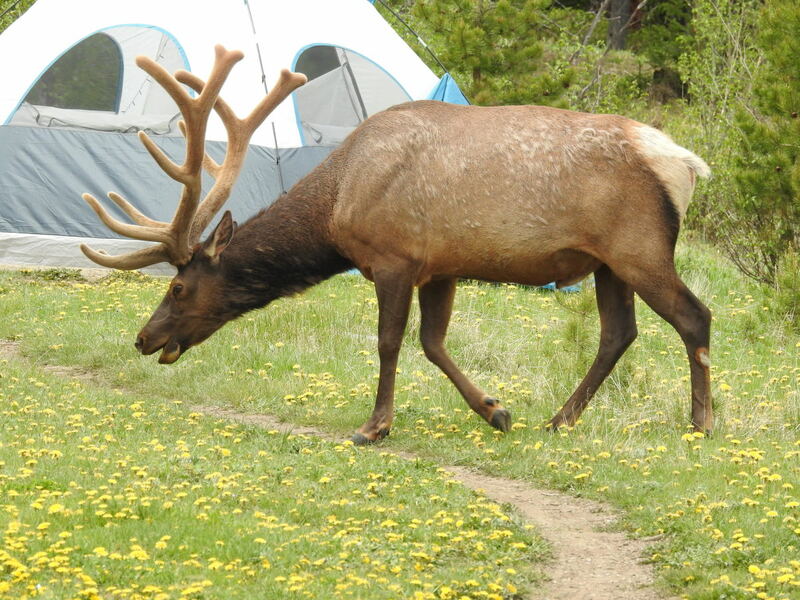 We saw three large bull elk at the Timber Creek Campground the last time. 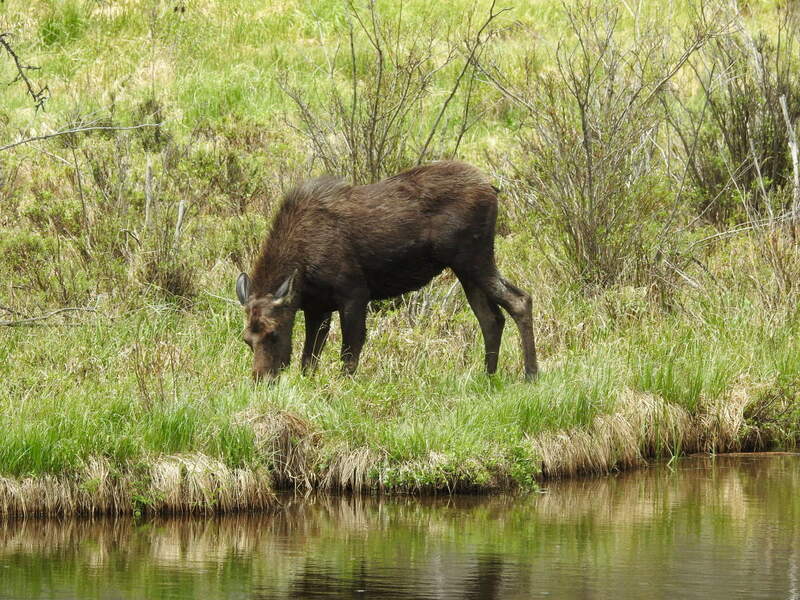 We also saw a female moose grazing on the shore of the Colorado River. Trail Ridge Road ends in Grand Lake, Colorado. The town itself is worth a visit. 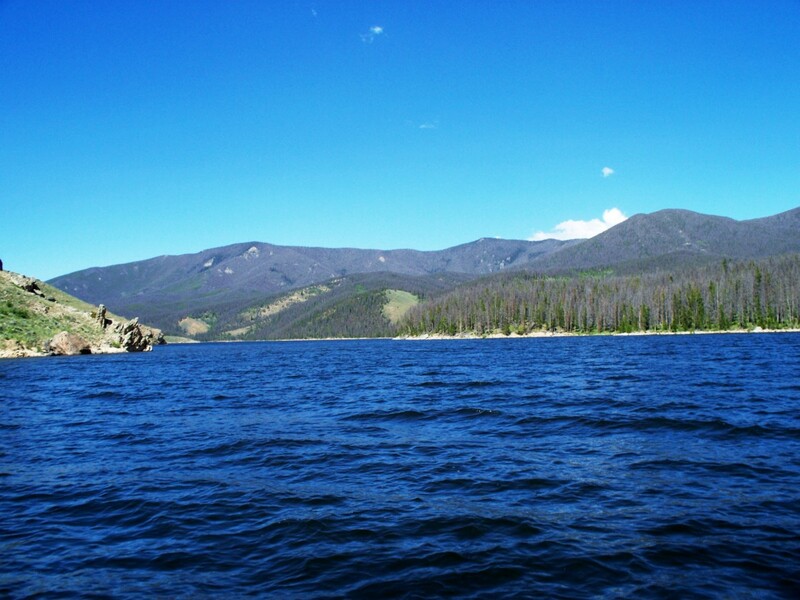 It is on three beautiful lakes: Grand Lake, Shadow Mountain Lake, and Granby Lake. 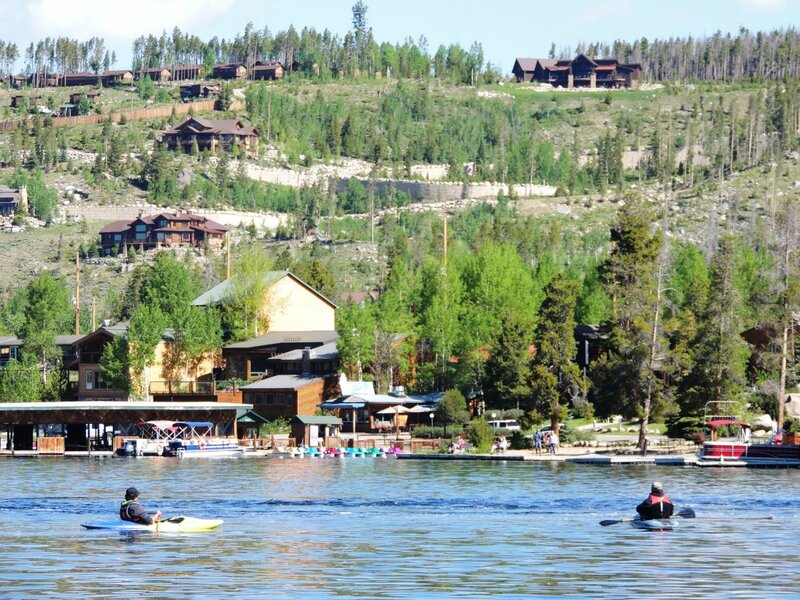 There is also a quaint downtown, tasty restaurants, and a marina. 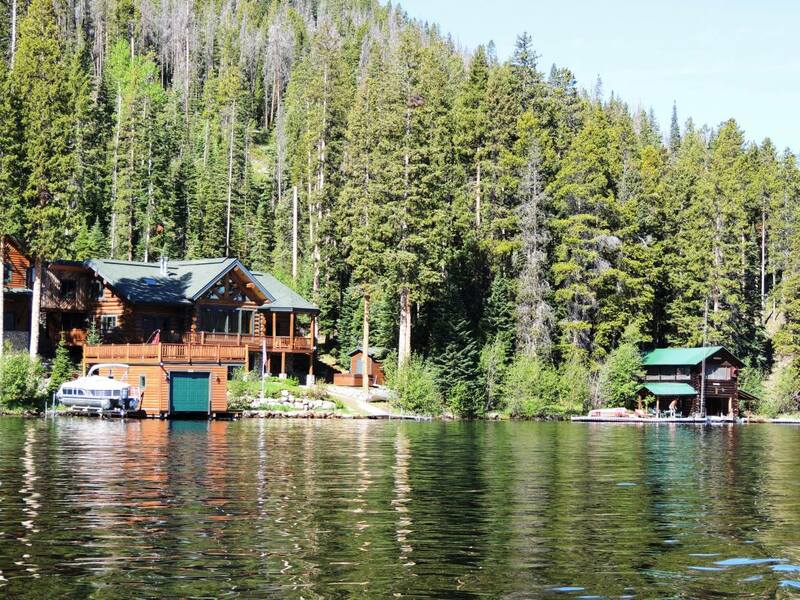 Grand Lake is much quieter than Estes Park and a great place to rent a cabin. 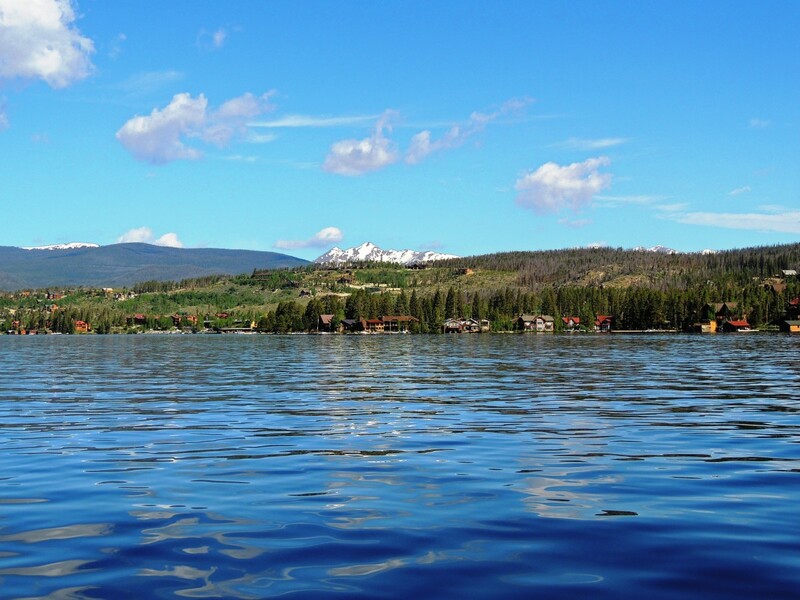 Both times that we have visited, my family and I rented pontoon boats and spent some time cruising the lakes and fishing. Have at least half a tank of gas before entering the park. 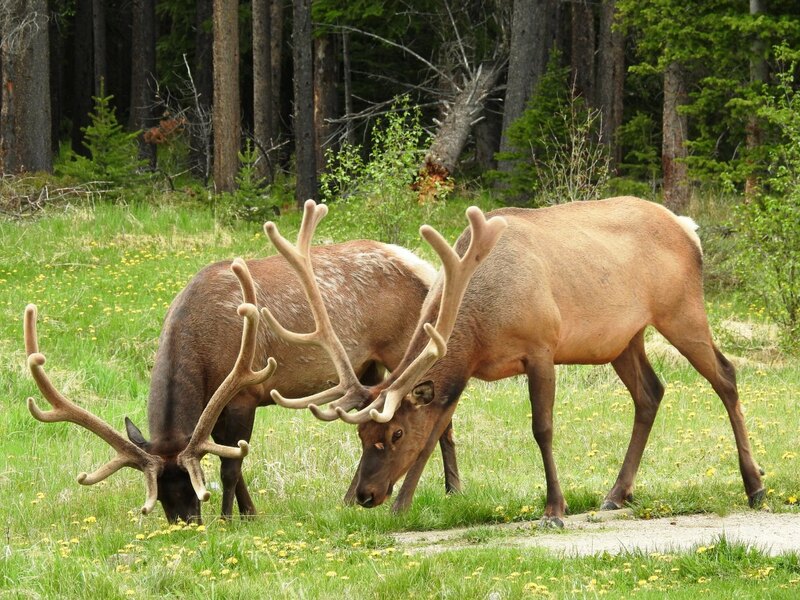 No fuel is available to purchase inside the park. Relax and take your time. Pull out often and enjoy the majestic views. Be courteous and use the pullouts to allow faster traffic to pass. 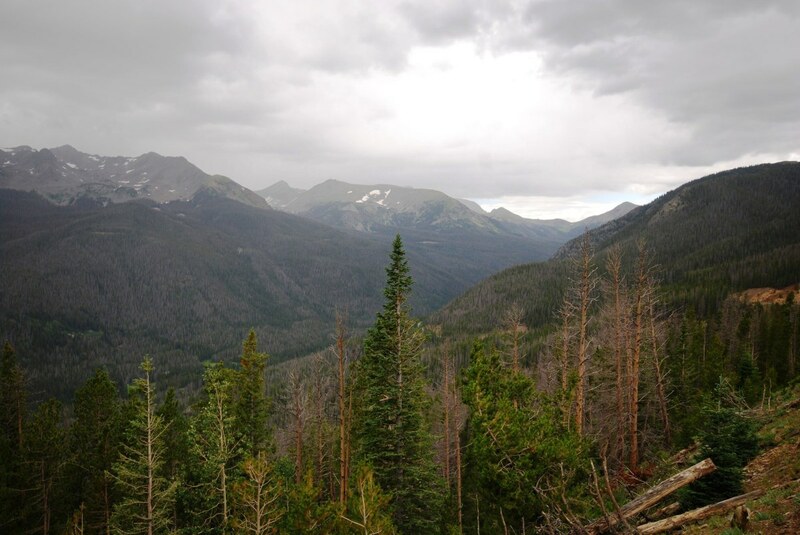 Be weather aware especially when you are above the tree line. Thunderstorms can pop up quickly. Do not ride your brakes going downhill. Downshift into a lower gear. 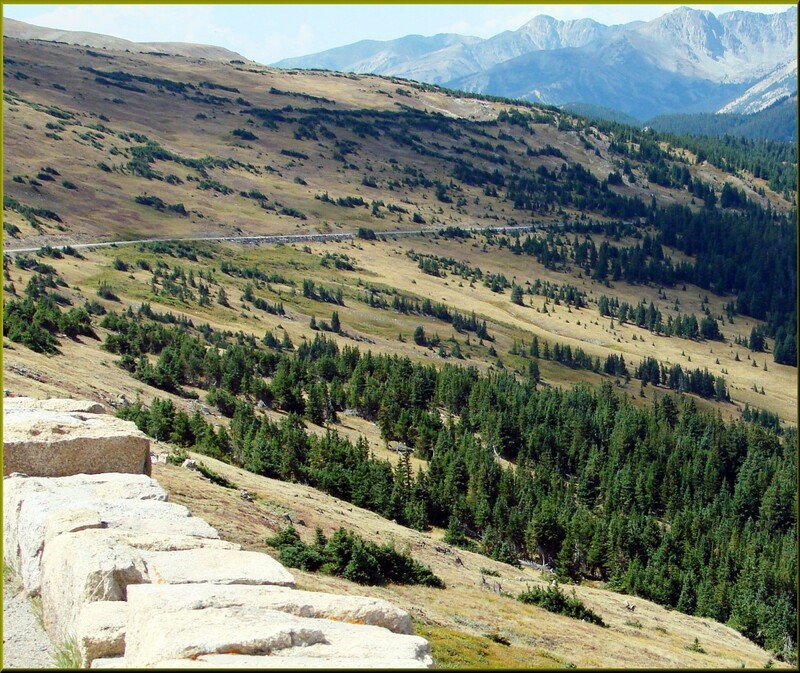 Check the Rocky Mountain National Park website to see the open/closed status of Trail Ridge Road. It is normally closed between the middle of October and sometime in May. Driving Trail Ridge Road is awe-inspiring. It is a fun drive to the top of the world. The views are amazing. My family and I have loved every time that we have driven on Trail Ridge Road. We cannot wait to go back and do it again. This is a fascinating trip with fantastic illustrations. Blowing out an 18 wheeler on that stretch. 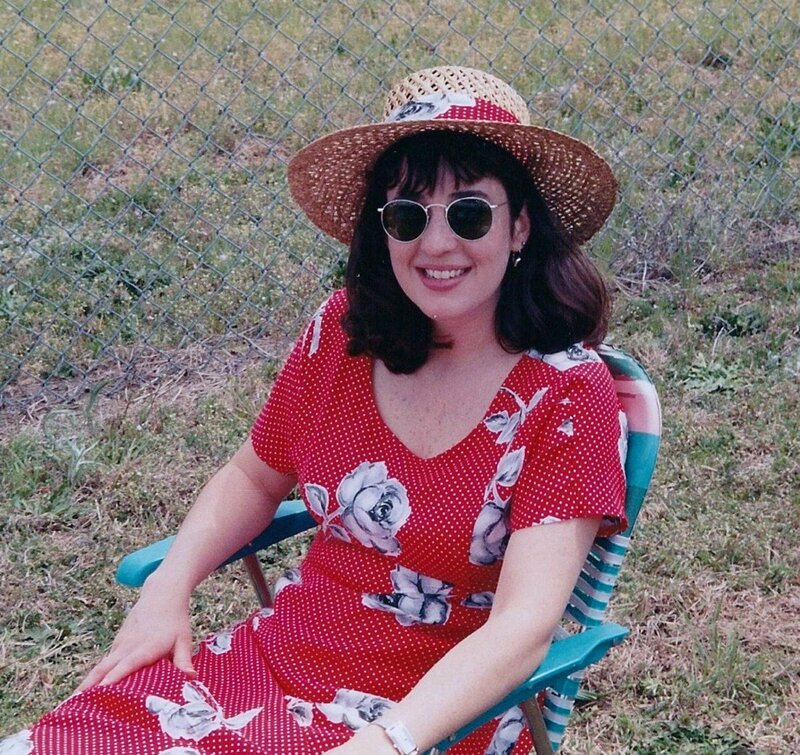 I forget the year and exact place but seems like way early '75. A fire was raging and firefighters needed food. I was never brave enough to fight fires. It may sound silly but "breaker, breaker 1 9 I am heaving a load of ten thousand and my breaks are going smoking, this is firefighter." "Are we clear into Estes?" "No good buddy you have two towing slow". "Can we clear a path into that fire?" Breaker breaker,this is Captain Colorado you two boys need to make a pit stop to let Firefigter have a clear lane into down that way and let us watch out for the smoke". 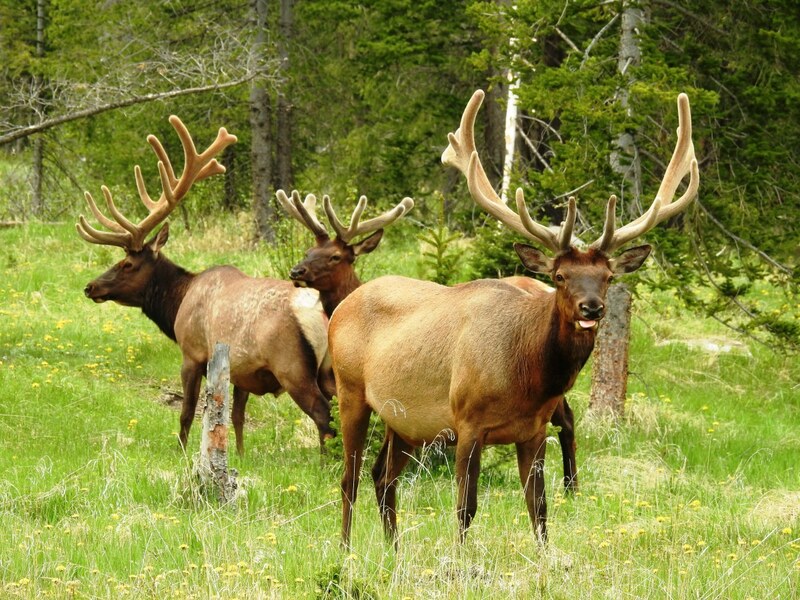 "That is a big nod buddy Captain, we would like to slide through we hear smoky's are clearing a path through, them boys need some food I hear." 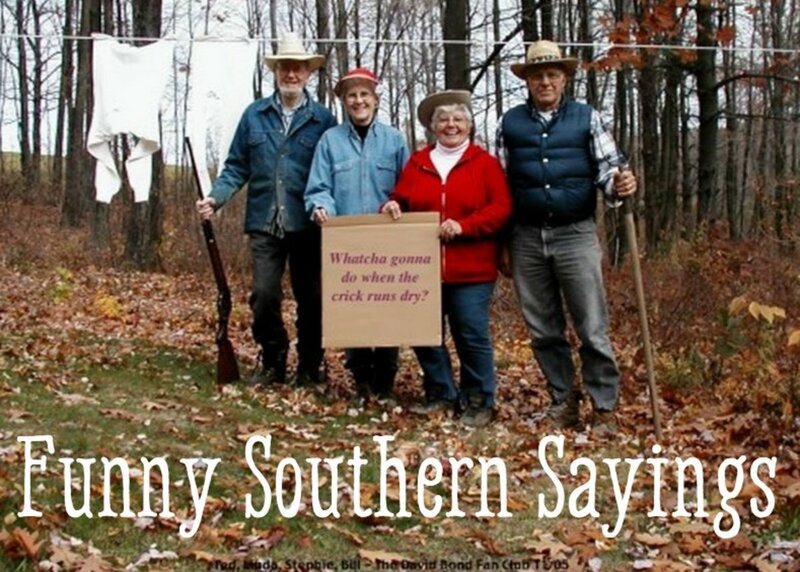 "Now you all lay them down slow as the smoke is blowing hard cross our route". "Leave your load way easy, hear tell there may be fire on the road" "We are blowing through, give us prayer this load has a real destination." Truth. My mother and I were fortunate enough to experience that drive on the trail ridge road while on vacation one year. You did a beautiful job of explaining the beauty of it.